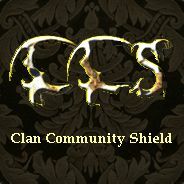 Clan Community Shield is a Tournament forum that is also a central place for many of the TotalWar Multiplayer community. We have last few spots free so be sure to not miss the opportunity to have some challenging and competitive games with us! Greetings CCS Steam Group Members! It is my great honour to invite you to take part in this 2v2 Tournament for Empire Total War.